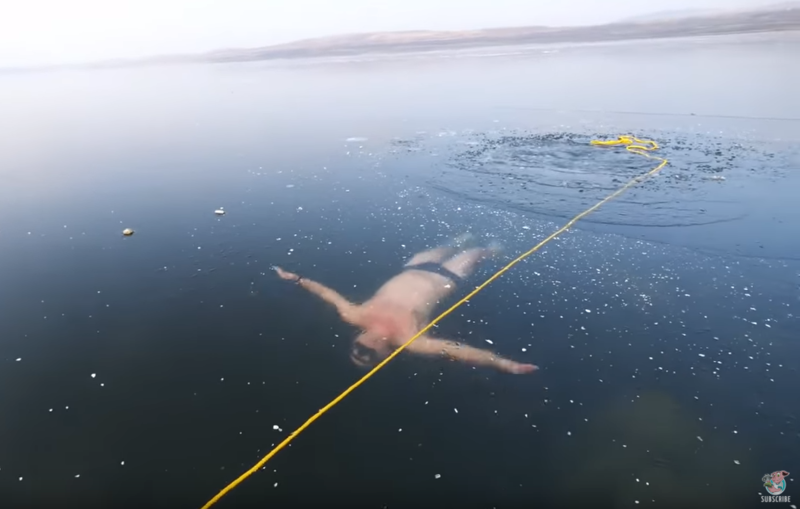 I have watched this video of a man swim under the surface of a lake no less than 25 times. Each time, I hold my breath while he casually swims between large holes cut into the ice. I highly recommend you DO NOT TRY THIS! This particular swimmer is freediving at Lake Milada in the Czech Republic. Freediving is a form of underwater swimming that relies on breath-holding for longer periods of time – and definitely takes a certain gumption to perform. OK, you can exhale now, he’s fine!